Partners Sami Uoti and Juho Lenni-Taattola have co-authored the Finland Chapter of the recently published Chambers Insolvency Guide 2019. The guide covers the latest regulation and recent development in the field of insolvency and restructuring in Finland. 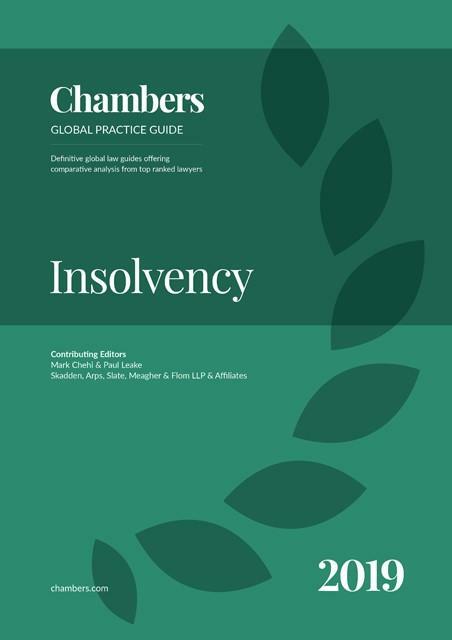 It is a useful read for insolvency and restructuring professionals as well as for lawyers from other jurisdictions assisting clients in matters relating to insolvency and restructuring in Finland. HPP’s Insolvency team is one of the leading teams in the Finnish legal market.